I have to be honest and say neither I nor Rob really enjoy the experience of flying and would much prefer to travel overland. That said, if you want to travel the world then you will almost always have to board a plane now and again, so in our many, many years of travelling, we’ve collected a bunch of skills that help score bargain flights – have a look at our list of tips that can often come in handy when you’re looking for finding cheap flights. These are websites such as Skyscanner, Findatickets and Google Flights that pull up all of the available flights for the route and date you want, so you can get an instant glance at the best available prices across a range of airlines. Warning – it can be very addictive. 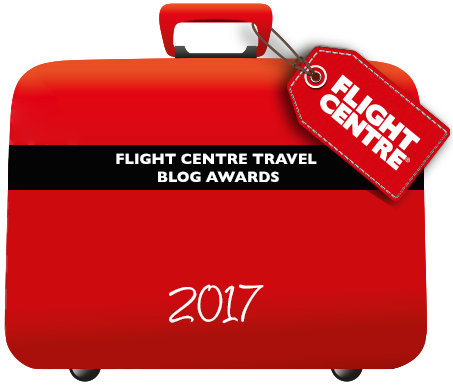 Remember that although most aggregator sites send you to the airline’s website to complete the booking process, the prices you see on them don’t necessarily reflect and promotions that the airline might be offering for direct bookers. So it’s always spending a couple of minutes visiting the airline’s website to compare. It’s also worth noting that just because you’re on an aggregator site, that doesn’t necessarily mean that every single available option is going to be there. Try a few different sites, you never know what you might find. If you’re not in a hurry to buy flights immediately, then you can also often subscribe to a daily reminder email that will update you on the latest price for the flight you want. I’ll be talking about food later on, this section refers to the tiny nuggets of data your browser stores whenever you visit a website. Sometimes, if you visit a site to check prices for a certain route and date, and then return again a while later to see if the price has fluctuated, you’ll be taken back to the same price as before. Deleting your cookies beforehand, or browsing ‘incognito’ (Chrome), can help. 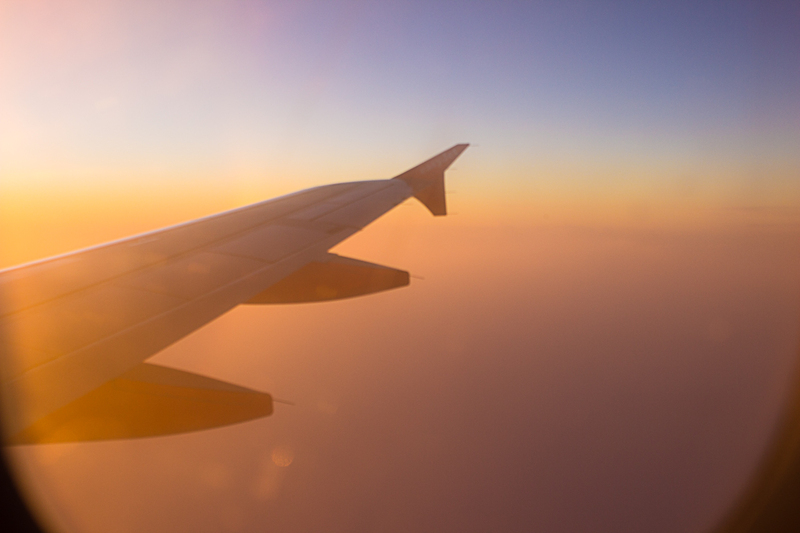 Some travellers report that airlines occasionally offer different prices for the same flight depending on country of origin, perhaps reflecting variations in the cost of living. I’ve tried this a few times without success but it doesn’t hurt to try switching it up using a VPN service like Hola. If you’re not travelling for a specific reason, like a business trip or a wedding, then chances are you may have some flexibility in your timings. Cheaper flights may be available a day or so either side of the date you enter, or perhaps you’d be comfortable departing or arriving at an unsociable hour if it meant saving £50 a seat. A friend of mine was once planning a two-week holiday by herself, knew her budget and the dates she wanted to be away, but had no destination in mind. So she put together a list of about 10 places she’d always wanted to visit, and made a decision on where to go based purely on flight prices – (she went to Rome by the way). When we were planning our round the world family trip, we naturally started by researching the route, flights and the best way to travel the world on a budget. This led us to look at round the world tickets. Usually thought of as a gap year easy deal, nowadays travel agencies have flexible routes and can be very competitive with prices. TIP: Round the World tickets tend to have a one year travel limit – make sure this fits into your plans, or you could forfeit the last leg of the journey and continue travelling with individual flights. We booked our full round the world trip for £5,202. That was London to Miami; LA to Auckland; Auckland to Tokyo; Tokyo to Melbourne; Melbourne to HK; HK to London for 2 adults and one child – all with major carriers. It wasn’t cheap, but we thought it was a pretty good deal. We had to give provisional travel dates, but these were changeable for a small fee (which we did a couple of times). If you’re hopping between continents, it’s worth giving it a go and including it in your research. If you don’t mind a layover then it can often be much less expensive to fly indirect. You might spend a few hours hanging round an airport waiting for your connecting flight, you might get your head down at a nearby hotel, or you might even want to jump on the metro and make the layover city a part of your holiday and stay for a couple of days. But there’s no need to stop there. If you have the stamina to keep searching, try looking at flying with separate airline for each leg, or switching the layover destination, to see if you can get it any cheaper. You could even backtrack on yourself, because regional hubs like London, Amsterdam or Bangkok will often have dozens of cheap flight options going from them throughout the day. Sure it means you will be spending a few more hours on a plane than you would otherwise, but it could save you a bunch of cash you can then spend getting a few expensive meals out. If you’ve ever booked flights with a low-cost operator then you’ll know that they try and persuade you to book extras at every opportunity. You can’t blame them for that, but really there’s not usually any need. One of the most pernicious is food – I don’t know whether you’ve ever bought a sandwich during a flight with a budget airline but trust me, it would probably cost you less to just eat a handful of banknotes. We always bring our own snacks, either homemade sandwiches or bought before we even get to the airport. You can’t take liquids more than 100ml through the Departures gate in the UK, so although you can always take a handful of miniatures from the hotel minibar, if you want water or juice then to save money you should buy it while you’re waiting for your gate to open rather than once you’re in the air. Many cities that are major tourist destinations, such as Paris, New York, Melbourne, Barcelona and Milan have more than one airport – London has six within 50 miles. We’re in Brighton so in most cases we’re happy to pay a bit more and fly from Gatwick for the convenience, but you could find a lot cheaper flights if you’re coming from, say, Spain to London and are happy with a longer transfer. Do remember though to check how long that transfer is – it hasn’t happened yet but my nightmare is to arrive late into a new city with my son and find out it’s going to be an epic journey to our hotel. If that happened I think I’d just take the hit and book an airport hotel room for a night. I’m not a participant in any Frequent Flier schemes, as my airmiles are usually in Europe and not enough to justify it, but a combination of staying loyal to an alliance of airlines, using the card to make key purchases and bank in air-mile promotions can really pay off, especially if you live in the US, Australasia and Asia. You can find some excellent advice on how to make the most of airmiles here. It may sound impossible when travelling as a family, but trust me – it’s not! Packing smart and light with each person taking a carry-on bag only, will not only save you money but means you can walk straight out of the airport on arrival. The only trouble is that because this is so common, if you’re on a crowded flight the cabin crew get a bit irritated with everyone trying to stuff their bags into the overhead lockers and will at some point insist that they go under the plane. Be early, or be prepared to put your luggage in the hold. This is especially viable when travelling between European countries, where the public transport networks are often so good and inexpensive. Sure, going by train from London to Rome is going to take you a while, but it’s not always massively expensive, and there’s something really romantic about train travel that you don’t get with flying. I love overnight trains personally, so I will happily pay a little extra and put up with a cramped bunk for the joy of falling asleep in one city and waking up in another, lulled to sleep by the movement of the train on the tracks. 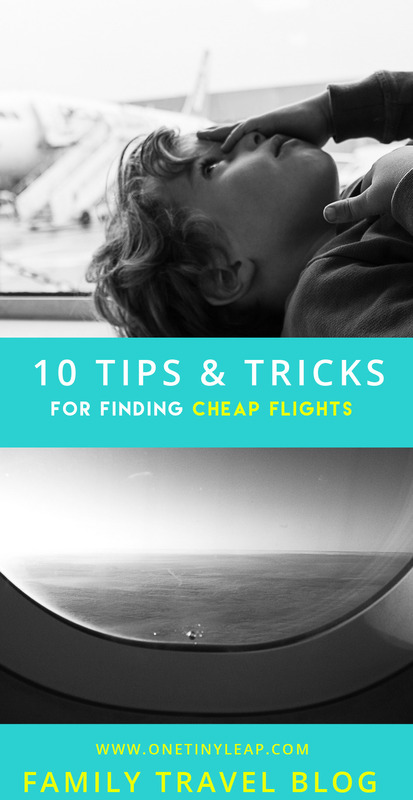 These are my hottest tips for finding cheap flights, but I’m sure there are a thousand others. What are yours?